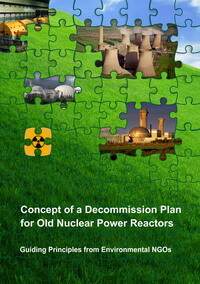 The cooperating organizations in the Decommissioning Network have as their main goal to convince the Russian government to start the decommission process of the oldest and most dangerous nuclear power plants. The present official Russian policy is to expand the number of nuclear power stations with new constructions and giving the existing old nuclear reactors lifetime extensions beyond their design life-time limit. This is working contrary to the goal of our project. The organizations in the Decommission Network have therefore decided to inform decision makers in Germany as well as the EU Parliament and the EU Commission about the dangers of the Russian expansion and export ambitions and about the necessity of common environmental and nuclear safety standards and common standards for public participation in decision making. 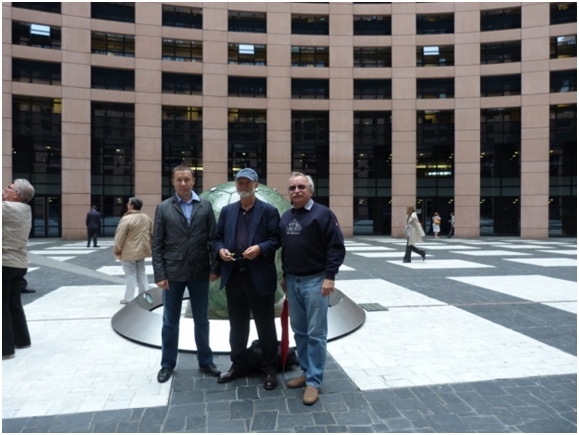 A European Lobby Tour was organized between 8 and 15 September 2012. The participants visited Brussels in Belgium, Strasbourg in France and Berlin, the capital of Germany. The participants were Mr. Oleg Bodrov from Green World/Zelenyj Mir (Leningrad NPP region), Mr. Andrey Talevlin from Za Prirodu/For Nature (Mayak reprocessing facility region) and Mr. Tore Braend from Naturvernforbundet/Friends of the Earth Norway(Decommission project manager). Our meeting with Mr. Johannes Baur took place in the offices of DG Energy in Brussels. Mr. Baur is responsible for the EU-Russia Energy Dialogue, and we were oriented about the status for the dialogue. Magda Stoczkiewicz, Director General in Friends of the Earth Europe, we met in her office. One of the partners in the Decommissioning Network, Naturvernforbundet, is also member of Friends of the Earth. Many other national organizations are active in nuclear and energy issues. Oleg Bodrov was interviewed by the journalist Ms Elisabeth Schultess from Journal d`Alsace, a French local newspaper covering Strasbourg and the department of Alsace. (anglish version). Oleg Bodrov and Andrey Talevlin has appealed to the European Court about the illegal lifetime extension of the 4th unit of Leningrad NPP, as they have not been allowed by Russian courts to have a legal process in Russia. Mr.Johannes Baur in DG Energy was our contact. He is responsible for the EU-Russian dialogue. He seemed to think that the Espoo Convention was the most fruitful way for us to influence the EU bureaucracy. This convention is giving the neighbor countries right to be informed about potentially dangerous projects being carried out in a neighbor countries, if the project can negatively affect its own country. It also gives a country the right to raise objections and propose changes in a project. Russia has not ratified the Espoo Convention, even if it has signed it more than 20 years ago. Is there any way the EU can influence Russia, to make it ratify? There are several processes going on, where the EU is negotiating with the Russian government. In nuclear safety issues he is cooperation with another EU institution, the EURATOM in Luxemburg. EU asked its member nations with nuclear reactors to perform a stress test of their reactors after the Fukushima accident last year. Russia had its own national stress test, which officially did not reveal any weaknesses in their reactors. EU made a decision to demand that Russia closed all its Chernobyl-type reactors after the April 1986 accident there. This decision is still in effect. EU does not have any means to force Russia to close the reactors. The only way of EU influence is Russia`s wish to increase the electricity export to the EU. In exchange for this, Russia must close the reactors. Last year`s export NW Russia to EU (Finland) is about 10 GWh. It is equivalent of 2 units of Leningrad NPP electricity production. EU is also requesting the electricity exchange between Russia and the EU take place on a level playing field. This also means similar safety standards. WTO is a problem here, as it does not accept limitations to import of electricity in principle, since it looks on electricity as any other goods that are traded internationally. 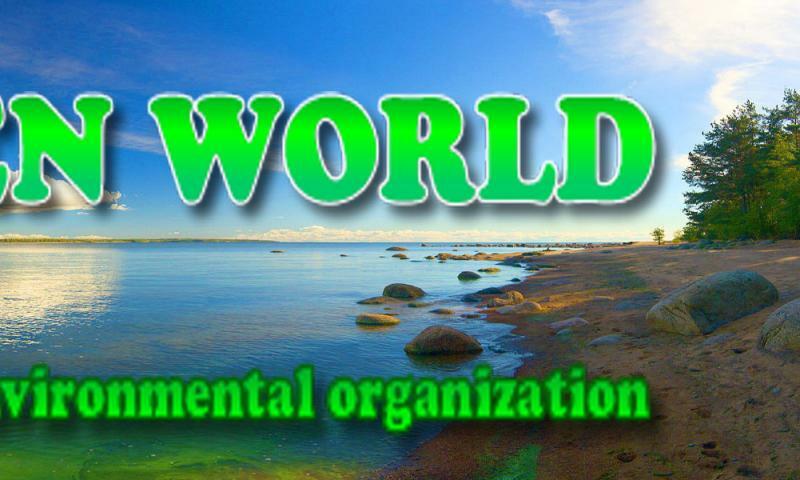 However, WTO does allow environmental concerns to take precedence in certain cases. Nuclear safety standards only apply for the production of electricity. It does not apply to export of nuclear waste including spent nuclear fuel from Europe to Russia. At the European Parliament in Strasbourg. Johanna Voss is Member of the German Bundestag and represents the small left-wing political party Die Linke. She took part in the Conference organized by Za Prirodu and Lawyers of Russia, in Chelyabinsk in October 2011. STOP IMPORT OF NUCLEAR ELECTRICITY FROM RUSSIA. Position of Russian and Norwegian nongovernmental organizations. Nuclear electricity export to Finland increase the risk of accidents. 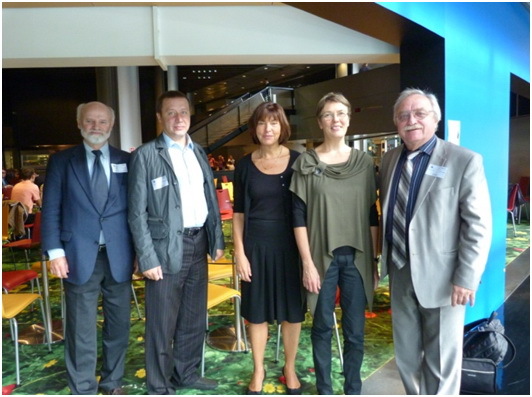 The Russian and the Norwegian environmental NGOs cooperating in the Decommission project http://decomatom.org/ are in favor of common nuclear and environmental safety standards in Russia and the European Union. We want the Russian government to start the decommission process of the oldest and most dangerous nuclear reactors in Russia. We also need a common energy strategy for Russia and the EU. Leading producing countries of nuclear electricity in the EU have decided to phase-out their nuclear reactors (Germany) or to reduce the share of nuclear electricity in their electricity supply (France). Russia is increasing their construction of nuclear power plants with the aim of supplying EU-countries with electricity. The effort of EU-countries to reduce the use of nuclear reactors is being undermined by Russian ambitions. This underlines the need for a common strategy. The standards for Public participation processes in Russia should be the same as in the EU, following the Espoo and Aarhus Conventions. Russia has not ratified the Espoo Convention and has not signed the Aarhus Convention. 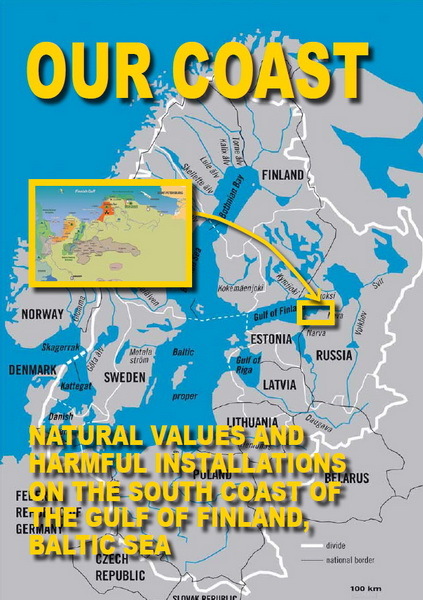 The Espoo Convention is about Environmental impact assessments in projects that have transboundary consequences, such as construction of nuclear reactors at the border of another country. The Aarhus Convention gives the right for citizens to get information, participate in decision making processes and the right to legal process. EU and Europe is increasingly being challenged by a Russian nuclear expansion based on double standards: one for EU and another for Russia. This cannot continue. The environmental standards in Russia are not good enough for the country to handle their own nuclear waste. For example, nuclear waste can be dumped legally in lakes, rivers and underground. As long as this is the case, Russia is also not able to receive spent nuclear fuel and radioactive waste from other countries for reprocessing and storage. The country using nuclear electricity must take responsibility for the spent fuel and radioactive waste on their own territory. Exporting spent fuel or radioactive waste to other countries only transfers the burden of the future health and environmental problems to another population and next generations. The population which enjoyed the benefits of the electricity produced with the spent fuel dumps the problem on other people living far away. Spent nuclear fuel should therefore not be transported across international borders. The transfer of spent nuclear fuel from the western part of Russia to Ural and Krasnoyarsk regions in the east of Russia has the same effect. Spent nuclear fuel should be stored within the national borders of Europe. 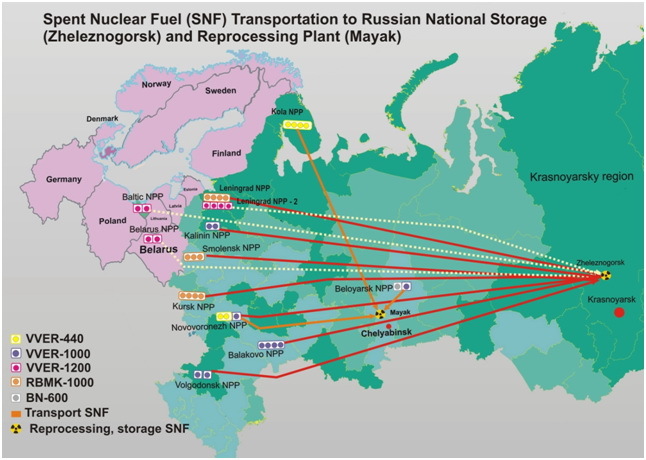 In the case of Russia, spent nuclear fuel from the western part should be stored in the west. 1.STOP IMPORT OF NUCLEAR ELECTRICITY FROM RUSSIA. 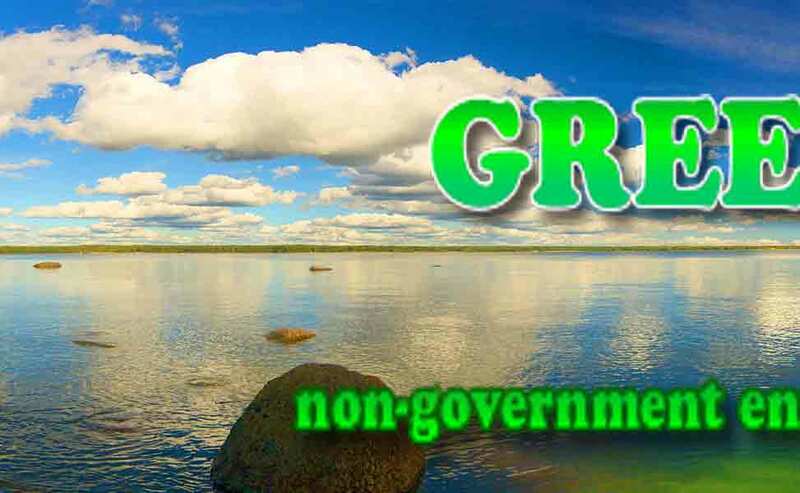 Position of Russian and Norwegian environmental nongovernmental organizations (NGOs). The below-signed Russian and Norwegian environmental NGOs oppose increased electricity trade between Russia and western countries, as long as common environmental and safety standards are absent. We urge the governments in the EU to stop import of electricity from Russia and Ukraine. New nuclear reactors are under construction, and old and unsafe reactors get prolonged licenses to operate, both with the aim to export electricity to the EU. One example is the new Leningrad Nuclear Power Plant-2 (LNPP-2) in Russia. The export will be facilitated by a new power cable between Sosnovy Bor (St. Petersburg region, Russia) and Vyborg (Russia). Another example is the construction of two new nuclear reactors in the Kaliningrad enclave in Russia, with the explicit goal of connecting one reactor directly to Germany with a dedicated underwater cable. The project at the Leningrad Nuclear Power Plant will decrease environmental safety in the Baltic part of Russia by promoting the prolongation of old and unsafe nuclear reactors and the accumulation of nuclear and radioactive waste on the coastline of our common Baltic Sea. It will lead to environmental dumping, due to lower safety and environmental standards in Russia. With increased import of electricity from Russia we fear that the new nuclear reactors will not lead to the closing down of the old reactors. Instead, we risk that the new and old reactors will operate at the same time. The transport of nuclear electricity is not solely a bilateral decision between Russia and Finland, or Russia and Germany. Import to both Germany and Finland will affect other Nordic and EU countries, as electricity imported to Finland will reach the common Nordic and EU market. Electricity import from Russia represents dumping of cheaper electricity produced with lower environmental and safety standards, on the Nordic and the Northern European market. Northwest Russia has excess electric generating capacity because of prolonged operation of the 1st generation nuclear reactors. The reactors have not only passed their 30-year designed lifetime, but they are also built with serious safety design deficits that make it impossible to meet European safety standards. For instance, EU required Lithuania to close down Ignalina nuclear power plant for safety reasons, although its reactors were newer and better than the two oldest reactors at Leningrad Nuclear Power Plant. common market should have common standards. The EU’s position in the energy dialogue with Russia has been that a common EU and Russia electricity market should have common environmental standards. Therefore EU has shown reluctance to import Russian electricity before environmental and safety conditions are improved. As members of EU, Finland and Germany should not act in a way that contradicts this position. Environmental dumping is bad both for the environment and for competition. The prolonged operation of Russia’s 1st generation nuclear power reactors will decrease the level of environmental safety in the whole Baltic Region, populated by more than 90 million people in 9 countries.In addition to harming the environment by decreasing the level of environmental safety, different standards in the same market is unfair competition. Even though there is surplus capacity of electricity generation in North West Russia, old nuclear reactors that have reached the end of their planned lifetime have received permission for prolongation of operations. This is done without public debate or necessary environmental impact assessments (EIA). Electricity import from Russia will therefore decrease the level of environmental safety in the whole Baltic Region populated by more than 90 million people. Electricity import makes the work for decommissioning even more difficult. Environmental NGOs in Russia work for decommissioning of old reactors, but face a tough challenge in today’s Russia, where organizational freedom is limited. The court system is also not working in our favor. Electricity import from Russia will counteract the NGO efforts. The Russian NGOs behind this position paper have attempted to use the legal system to stop the unlawful lifetime extension of the old reactors at the Leningrad nuclear power plant, but the effort has not been successful. The courts have so far blocked any discussion of this problem with Russian NPP operators and regulators of nuclear safety. Setting conditions for electricity import is a way to help decommissioning. The Nordic countries, EBRD and others have given financial and technical support for safety measures at the old reactors, on the condition that they close at the end of their designed lifetime. Nevertheless, RosEnergoAtom has chosen to prolong their operation. By unconditionally buying the power from RosEnergoAtom, the Nordic countries undermine their own possibilities for actual influence on Russian authorities on this issue. Other EU-countries buying electricity from Russia without setting conditions could further undermine nuclear safety in the whole Northern Europe. We welcome electricity trade, as long it is based on common environmental and safety standards. 2.1 Nuclear optimists and pessimists of Europe. Over the past 40 years 32 nuclear power units have been built and operated in Northwestern Europe (see map). The countries of the region are divided into groups: the nuclear optimists and pessimists. The countries in the west have abandoned plans to build nuclear power plants for security reasons (Denmark), or have started decommissioning their existing nuclear power plants (Germany, Sweden, Lithuania). At the same time, countries in the east extend the life of nuclear power reactors, aimed at export of technology (Russia), or build new reactors (Finland, Russia, Belarus). Most of the active construction of new nuclear power plants takes place just at the boundary between nuclear optimists and pessimists. In the southern part of the region, close to the borders of Lithuania, Russia and Belarus, there are plans to build three nuclear power plants with five generating units. In this case, the plans are to export half of the electricity to neighbors. Nuclear electricity importers do not always have access to information about the nuclear power plants in the neighboring country. Therefore they cannot evaluate the safety of the electricity production. The responsibility for radioactive waste (RW) and spent nuclear fuel (SNF) generated by the exporting and importing of nuclear electricity is seldom discussed. The export of electricity and nuclear technology to neighboring countries are part of a Russian political strategy. The aim is to make neighbor countries dependent on Russia for electricity, technology, nuclear fuel supply and disposal of nuclear waste, including spent fuel. Part of the strategy is to provide financing and even offers to provide the technical staff for operation of the nuclear power plants in other countries. The Russian nuclear export organization also wants to supply the nuclear fuel, and to take back the used fuel for reprocessing and to store the resulting nuclear waste. Sometimes the promises of technological solutions are not based on real experience or qualifications. The consequence of the expansion of nuclear power in Russia is the increased risk of nuclear accidents and the spread of radioactive contamination in Europe. The new nuclear power plants are being built, but there are no plans or funds for the decommissioning of the existing old and dangerous nuclear power plants. The plan is to operate the old plants as long as possible, and use the new nuclear power plants to generate electricity for export. 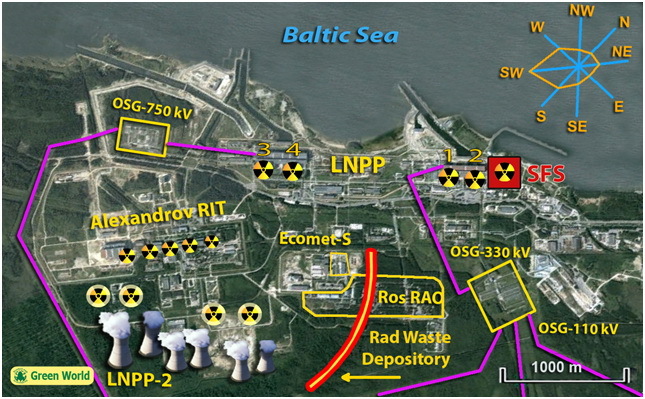 In the case of the Leningrad nuclear power plant (LNPP) described below, the operation of the new nuclear reactors next door to the old and dangerous Chernobyl-type nuclear reactors can also lead to a catastrophic event. A frightening scenario is that the planned cooling towers using steam to cool the new reactors can lead to ice forming on the power lines from the old reactors. The power lines may break, and cause a full emergency stop in the old reactors. If the emergency electricity supply also fail (as in Fukushima), the result may be melt-down of the old reactors. The perspective is very unpleasant, to say the least. 2.2	The need of common standards for nuclear energy in Europe and Russia. Environmental security in Europe can be increased if regional security standards for new and existing nuclear power plants are developed. We also need effective public participation mechanisms to ensure an open debate about new nuclear projects. Russia must sign the Aarhus Convention and ratify the Espoo Convention. Stop the movement of waste and spent nuclear fuel between countries and regions of Russia as a way to address security concerns. The best solution for this type of hazardous waste is to place the radioactive waste in controlled long-term facilities in the countries and regions that produce the waste. The International Convention on Environmental Impact Assessment in a Transboundary Context (Espoo Convention) does not work effectively as a mechanism for coordinating environmental security for nuclear power projects in the region. Russia has signed but not ratified the convention. Belarus, although it has ratified, does not implement the convention. The Russian nuclear industry often uses environmental organizations created or controlled by the industry to create a positive impression. These organizations receive preferential access to the environmental impact assessment (EIA) of projects of new nuclear power plants. The result of these so called public hearings is, not surprisingly, positive towards the nuclear projects in question. The organizations are financed by the Russian federal budget, from the same source as for the construction of nuclear power plants. The public living in the vicinity of the planned units does not trust the opinions of the industry-controlled environmental organizations. The public does not get a real opportunity to participate in the decisions that will affect them. For example, the results from an expert hearing of the Environmental Impact Assessment for the new nuclear reactors at the Leningrad Nuclear Power Plant number 2 (LNPP-2) near St. Petersburg, was published with the heading: "No impacts". 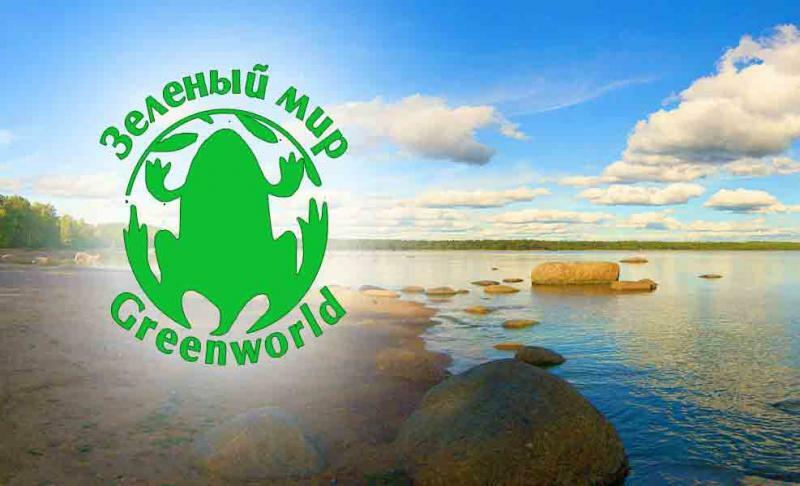 An environmental organization based in Moscow and led by an advisor to the head of Rosatom, the ministry of the nuclear industry, was organizing the “independent” environmental impact assessment. 5000 residents of Sosnovy Bor, the satellite city where the Leningrad nuclear power plant is located, sent a petition to the President of Russia, demanding the stop of the construction of Leningrad NPP-2 and important changes to be made in this dangerous project. The petitioners included representatives of the nuclear industry of the city where the LNPP-2 is being constructed. Another problem that undermines the environmental and human security of the region is the radioactive waste and spent fuel produced by the nuclear industry. The transfer of waste between countries or to other regions in the same country (Russia) has in practice been seen as a solution to the problem with storage of the dangerous radioactive waste. 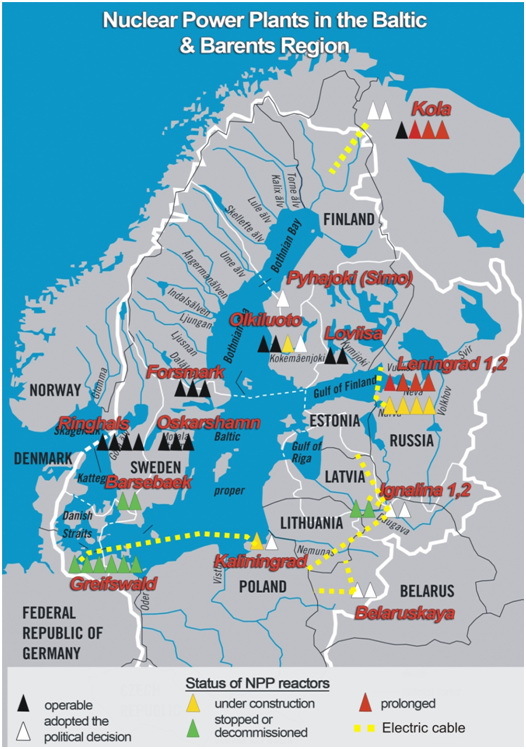 So, for the past 20 years, more than 100 thousand tons of uranium tailings (uranium hexafluoride) from England, France and Germany have been moved through the Baltic Sea via St. Petersburg to the Ural and Siberian regions of Russia. These materials are produced by the nuclear industry in Europe. After the enrichment of uranium in Europe, the waste is exported to Russia. Russian regulators say that the storage facilities in Russia do not meet current safety standards. Russia does not have better facilities for handling the uranium tailings than other countries. The reason for receiving the uranium tailings is to provide economic support for the existing military nuclear infrastructure (closed nuclear cities) in Ural and Siberia. The processing of spent nuclear fuel at the production facility Mayak in the Chelyabinsk region represents a huge increase in the amount of radioactive waste. Part of the waste has already been deposited to the lakes and rivers, and pollutes the environment. Sixty years production of weapons-grade plutonium and spent fuel reprocessing has contaminated tens of thousands of square kilometers of Russian land. This has led to tragic consequences for hundreds of thousands of people and for the nature in the area. In addition, radioactive waste spreads into aquatic ecosystems and to the Ob River. The river runs to the Arctic Ocean and the radioactive contamination flows with the ocean currents back to the European waters. Thus, the continued movement of spent nuclear fuel does not provide a safe environment. Transboundary effects of the proliferation of the "peaceful atom" create a situation where each of the countries of Europe is no longer able to provide for their national security alone. The risk for the entire region increases because of the old nuclear power plants continues their operation. It is not only the risk for the national security of each country, but also a threat to the future of renewable fisheries. The development taking place at the Leningrad nuclear power plant (LNPP) is an illustration of the risks connected to the construction of new nuclear power plants at the same time and in the same location as old and dangerous nuclear power plants are continuing their operation. 4 units of VVER 1200 nuclear reactors in the new LNPP-2 with total capacity of 4 700 MWe (under construction). Underground depository of (250 000 m3) of middle and low radioactive waste, (planned by Rosatom to be constructed before 2015), 1 km from the Baltic Sea. The cooling towers of the new reactors under construction in LNPP-2 have an in-built risk to destroy one of the safety barriers of the old LNPP during electricity co-generation in winter time. One of the possible accident scenarios can be caused by the cooling system of the Leningrad NPP-2. The six cooling towers will emit daily200 000 tons of steam. The steam condensation (including icing in winter time) on the transmission lines of respectively 750, 330 and 110 kV will seriously increase the risk of the destruction of the electricity transmission system from the old nuclear reactors of the Chernobyl type. A failure in the electricity grid would cause emergency stops in all units of the reactors of the RBMK-1000 type. This will not only cause the loss of 4 GW generating capacity in winter time, but also risk of the loss of the outside electricity source to the cooling systems in the stopped reactors. This outside electricity source is the Narva hydro power plant to the west of the LNPP, and electricity is transmitted to Leningrad NPP by a 110 kV transmission line. The reactor units of the Leningrad NPP are the oldest Chernobyl type (RBMK-1000) reactors in the world. Other newer reactors of this type in other countries are closed for safety reasons (3 RBMK-1000 units in Ukraine) or are now in the decommission phase (2 RBMK-1500 units in Lithuania). The reactors have a graphite moderator, which poses a fire risk, and does not have a complete secondary containment to prevent release of radioactive substances in the case of accident. All reactors at the Leningrad NPP reached their design time limit (30 years) of operation respectively in 2003, 2005, 2009 and 2011. They received, after retrofitting, licenses for continued operation for 15 more years. The decision of prolongation of operations was adopted without environmental impact assessment and public participation. This is in violation of Russian legislation and democratic standards. Fresh fuel for RBMK-1000 is produced by reprocessing spent fuel from VVER-440 (Kola, Novovoronezh NPP) at the nuclear enterprise Mayak (Ural region of Russia). Liquid radioactive waste for reprocessing is discharged into natural water bodies. Radioactive contamination from reprocessing is able to reach the seas of the Arctic Ocean. Through uptake in the natural food chains, it may return with fish and seafood to the tables of Europeans. In the course of more than 39 years of operation of the Leningrad NPP, nuclear waste equivalent to more than 50 Chernobyl accidents has been accumulated in temporary storages on the Baltic shore. There is no reliable and economically justified technology for RBMK-1000 nuclear waste recycling. Rosatom has started transport of the 40 000 spent fuel rods from the Leningrad NPP to the national dry SNF storage in the closed nuclear city Zheleznogorsk (Siberia). Zheleznogorsk was built during the Cold War for production of weapongrade plutonium. There is no transparency, no democratic decision making or public participation in the decision making process regarding the decision. This is a policy of double environmental standard for one country. The double environmental standard means that the storage of nuclear waste that is considered unsafe in the western parts of Russia is forced upon the inhabitants of the eastern parts of the country, in the Ural region. This also represents a violation of human rights and is not based on a democratic system of decision-making. Because of the violations of human rights in this case, our decommissioning network has filed a complaint with the European Court for Human Rights. During all the years of the Leningrad NPP operation, money for decommissioning of the old reactors has not been set aside as a separate fund. A reserve for decommissioning purposes was established some years ago, but the money is spent at once, with no accumulation. Nuclear power plants do also not pay land rent for the area they use. Despite Russian legislation, the water-intake facilities of the Leningrad NPP operate without fish protection devices. That is why hundreds of millions Baltic fish die annually in the cooling system. The damage has been evaluated to represent millions of Euros (average) per year. In conclusion, the planned nuclear electricity export from the South shore of the Gulf of Finland will have negative consequences and increase the environmental risks for different regions of both Europe and Asia.